15 years ago I sat down to make my first greeting card and since then its been a creative journey that has brought me joy, happiness and recognition. I experimented with recycled paper and created a fine range of stationery along with other lifestyle products. During this journey my work generated a lot of scrap and left-over paper which I was not willing to discard or part with. 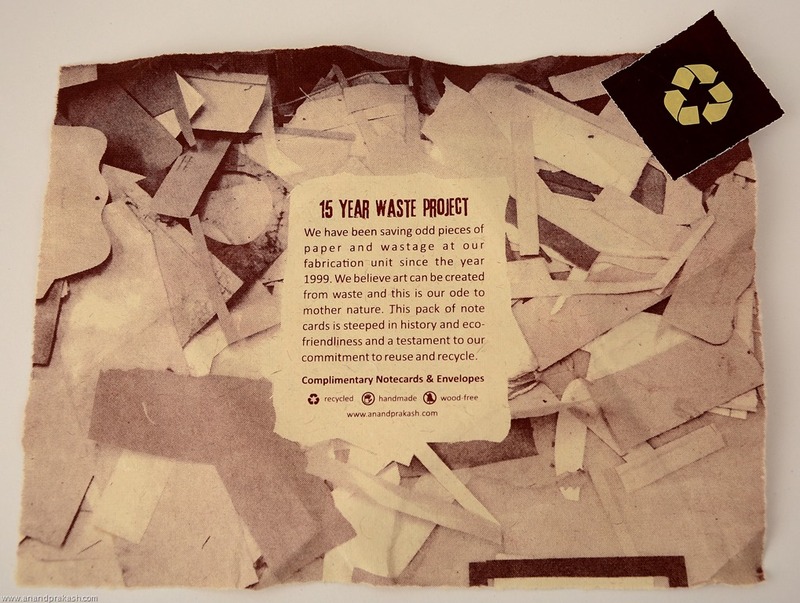 We have been saving odd pieces of paper and wastage at our fabrication unit since the year 1999 and collected them in a hope to recycle and reuse sometime in the future. 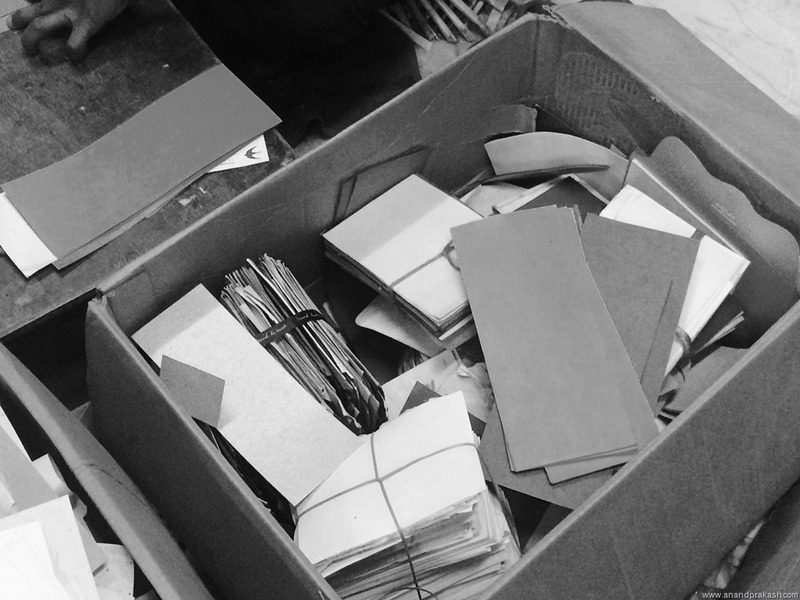 With time, my passion for paper turned into a full-fledged business and I had lesser time for creative projects, every time I decided to do something with these papers, something or the other would come up and I would again forget about them. This went on for 15 years till one fine day in March of 2015; I decided to make good use of this stockpile! I believe art can be created from waste and this is my ode to mother nature. This pack of note cards with envelopes is steeped in history and eco-friendliness and a testament to my commitment to reuse and recycle. These are complimentary and distributed to customers buying products at our stores. 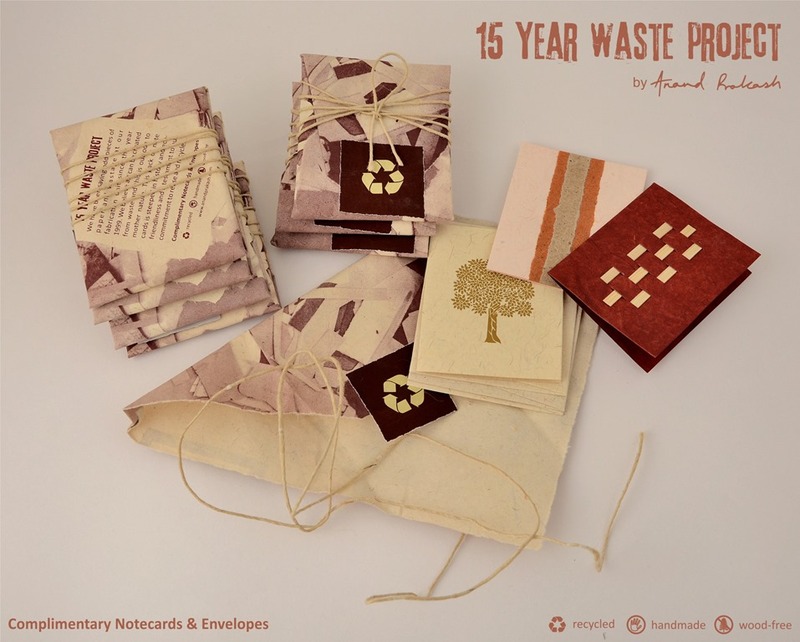 This entry was posted in Whats New and tagged Anand Prakash, handmade paper, recycled paper. Bookmark the permalink.